Seth Quansah is the co-founder and managing director/CEO of Alchemy Alternative Energy (AAE). Seth has over 10 years of business leadership, strategy, and management experience. 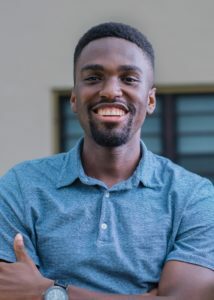 Prior to AAE, Seth co-founded and led several companies and organizations in the United States and Ghana including RAD-AID International (global radiology program), Zuri-neo LLC (diversified socially-oriented businesses), and Coderina (robotic engineering organization). His sectors of experience spans across social entrepreneurship, medicine, and health technologies. His vision is to address and meet the energy demands in the sub-Sahara African region through his work. Alchemy Alternative Energy is a waste management company that converts waste from plastics and tires – through internationally approved and environmentally sound processes – into hydrocarbon products by incentivizing local Ghanaian citizens through its well-designed waste purchasing program.